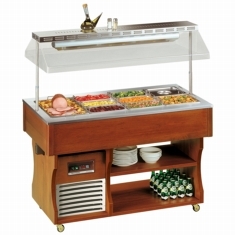 A range of hot buffet units with both bain marie wet well and ceramic and hot plates options. 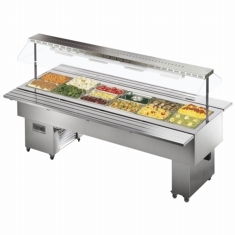 All built to a high standard with sneeze screen and infrared heat lamps as standard. Popular with carveries as well as Indian and Chinese restaurants.